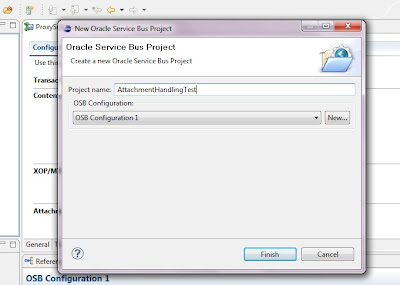 This is a blog dedicated to Oracle Service Bus related concepts which will be helpful for everyone to understand and implement the various features it provides. 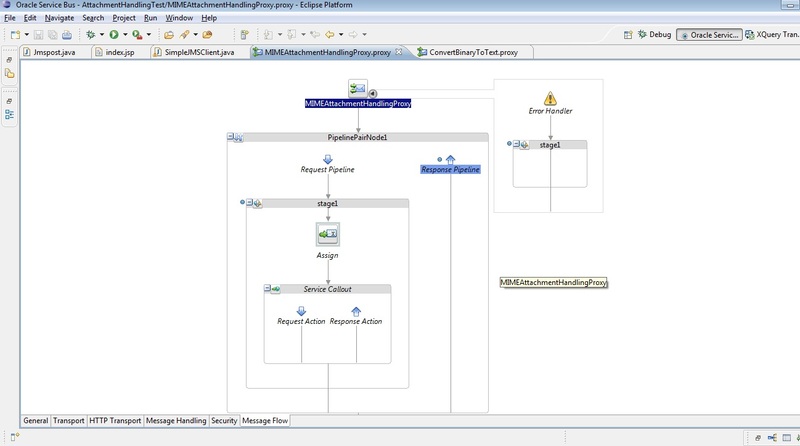 Oracle Fusion 11g is an enterprise ready family of integration products from Oracle. 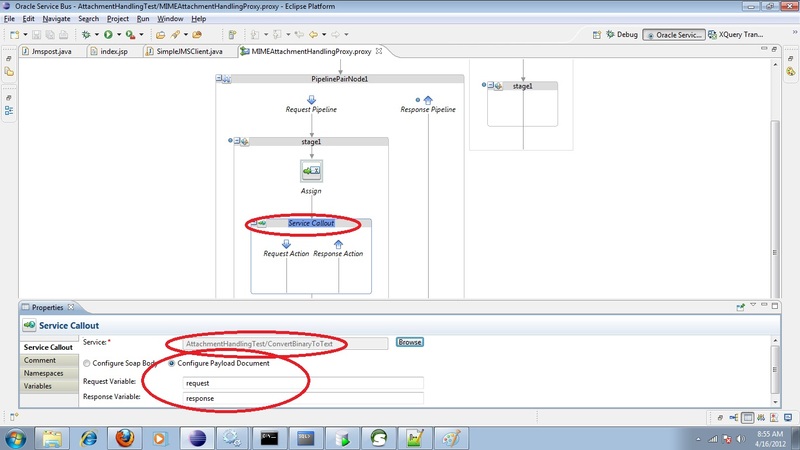 Oracle Service Bus (OSB) 11g is one of the components in Fusion middleware product. 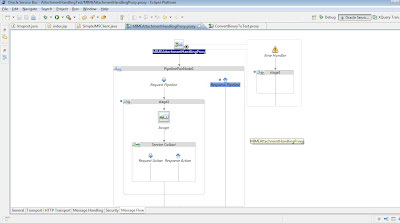 OSB can do routing, transformation and orchestration of messages. 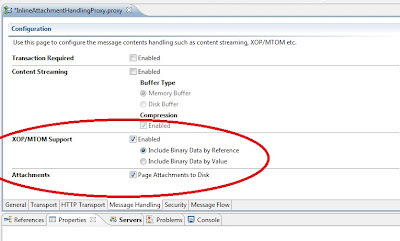 Messages can be of xml or non xml. Here we are concerned about sending files as attachments along with the messages. We will discuss how OSB handles attachments and the configurations done for the same and the results of one sample performance testing done in virtual data center (VDC) Linux environment. You might be remembering that in your company if you face any issues in your system, you might be asked to upload any screenshot of the problem or any documents relevant to that. Did you ever think that how these files are processed in the background. 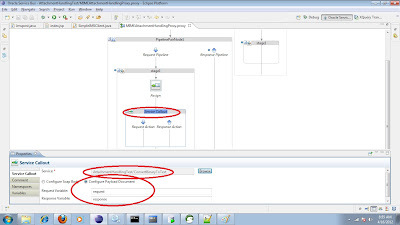 If you analyse closely, the files you upload will be first taken by some front end application and it will be passed on to the integration middleware component and there it will be uploaded into some file server or vendor specific share point. 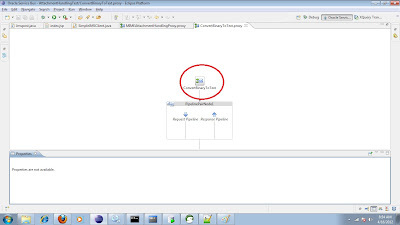 In this document, we are concerned only about the integration middleware component, OSB 11g and how it handles attachment. Attachment handling can be of two types. 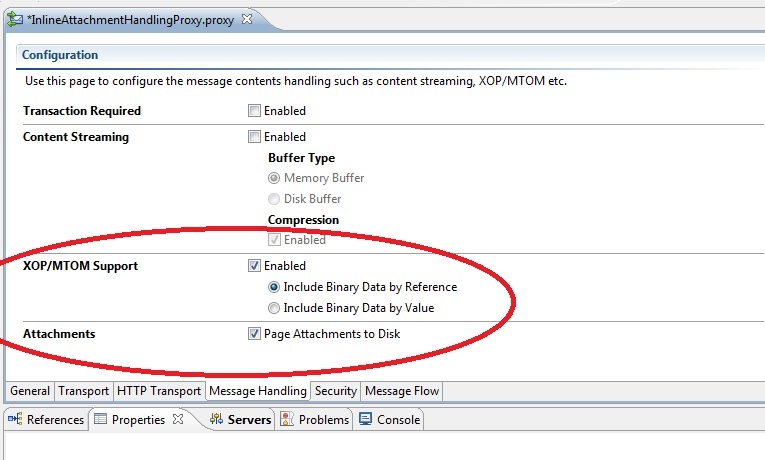 Here the attachment will be send as part of attachment headers along wth the normal xml message. 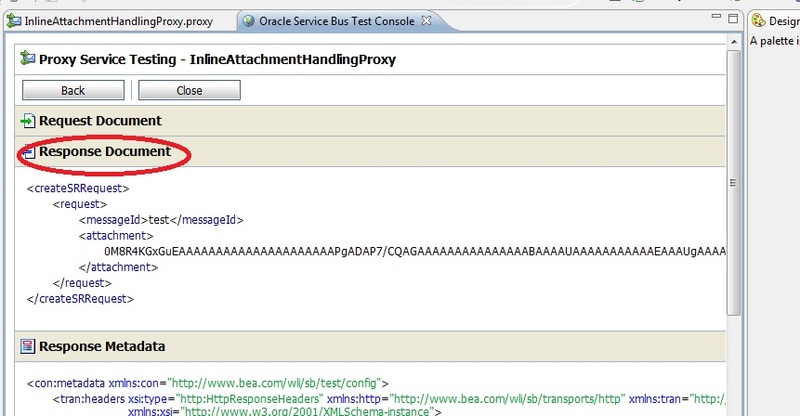 The attachments can be received in multiple formats by OSB, but one of the common format is base64 encoded binary format. 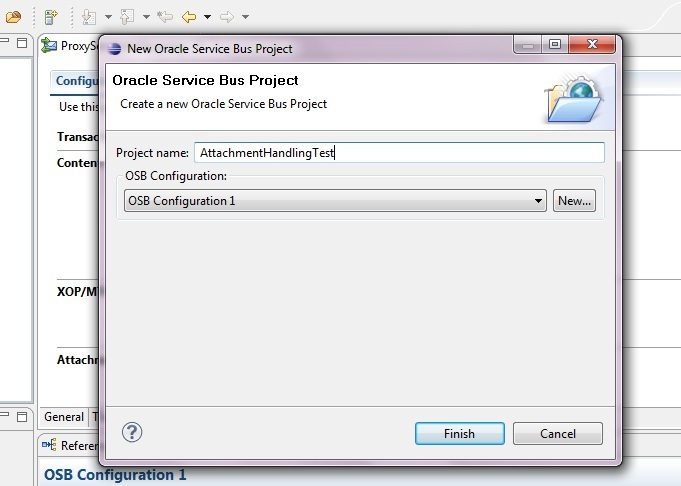 Open OSB eclipse and create one Oracle Service bus project. 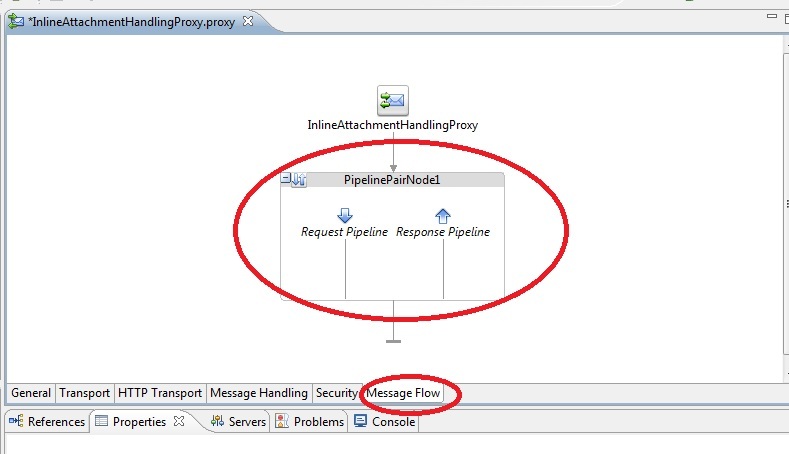 Now go to the MessageFlow tab and add some pipeline pair. Request document to test. 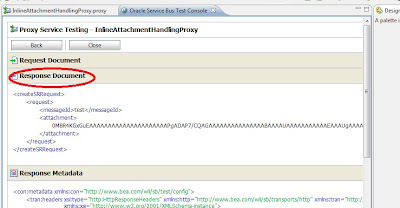 The attachment (embedded in the attachment tag) is encoded as base64. 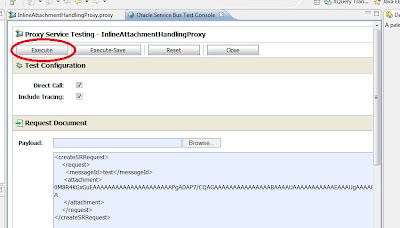 MIME attachments are the attachments send as headers. 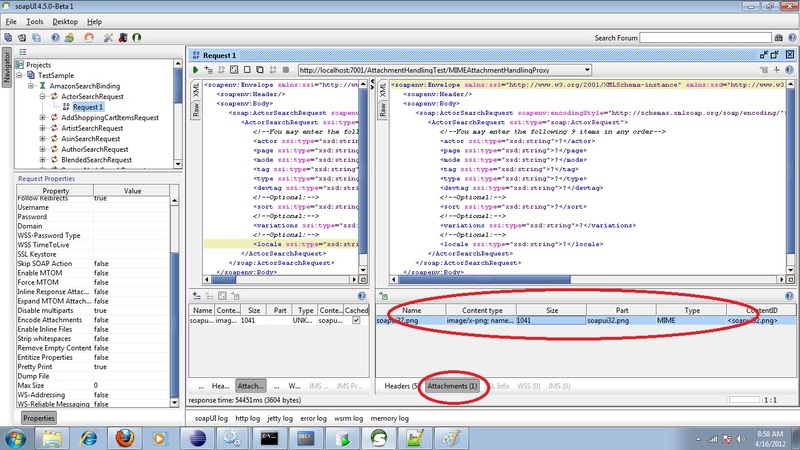 Here the client used for posting is soapUI. We should not use the sbconsole test window to test MIME attachment applications. 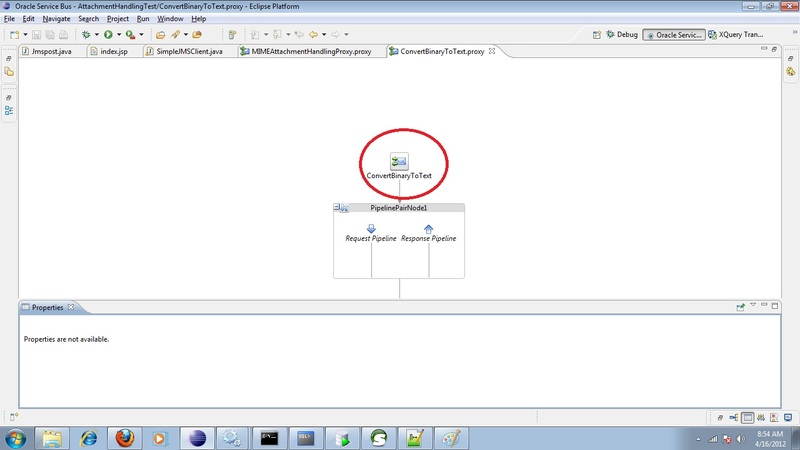 If we post via soapUI, OSB receives it as binary and we can see only some java reference for this object. Inorder to access this attachment there are two ways. 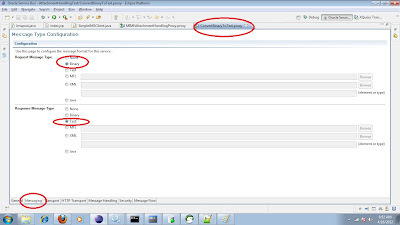 Here you will receive the headers in the $attachments variable and there you can see the attachment as header. 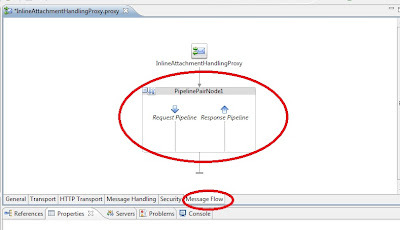 Now create a proxy service which takes request as binary and response as text and pass the attachment binary reference to this proxy service and get back the response as text. Please find below the screenshots. This is the proxy which converts binary to text. 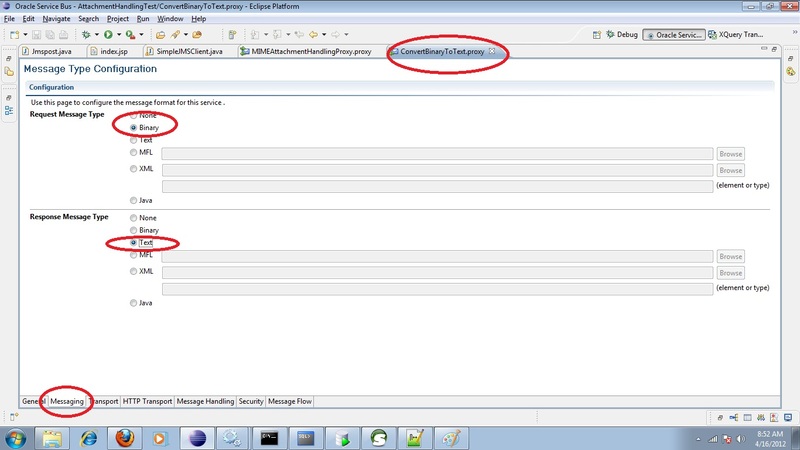 See the configuration in the "Messaging" tab. 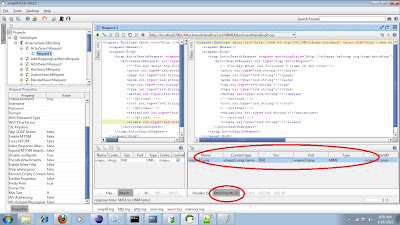 We have to post the MIME attachment using some 3rd party tool like SOAPUI. You require one wsdl for this.There are options to add attachments with different properties. Please find below the screenshot for the same. Please let me know how to reach you. 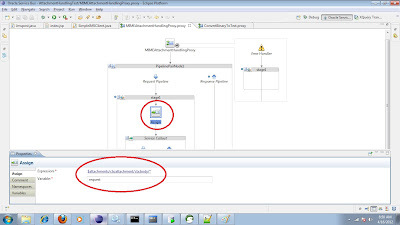 Hi, how to force osb to validate that a soap message is mtom? Nice article on attachment handling using OSB. 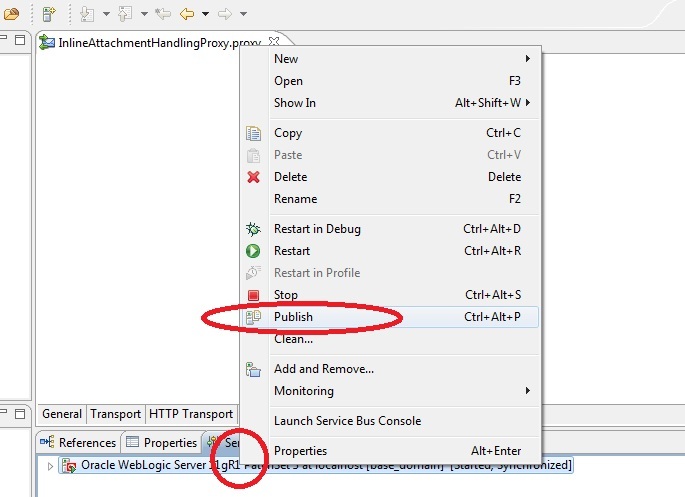 Another open source enterprise service bus which supports attachment handling is wso2 ESB . 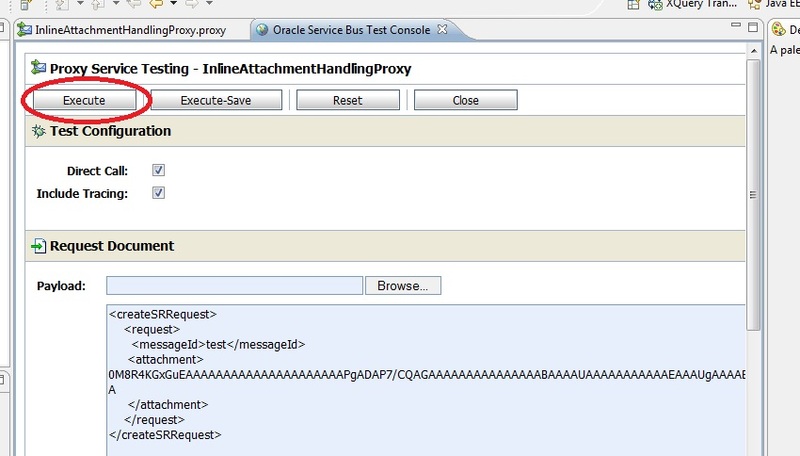 A sample on how attachments can be handled using wso2 ESB can be located at . 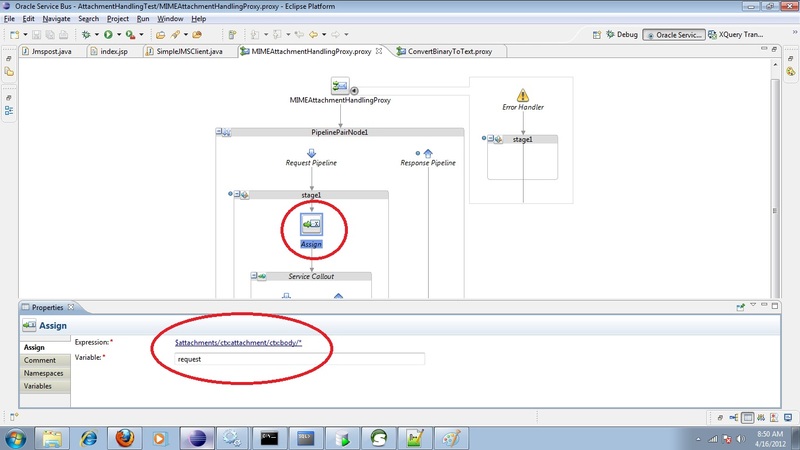 Can you please help me here how to declare the attachments in soa. 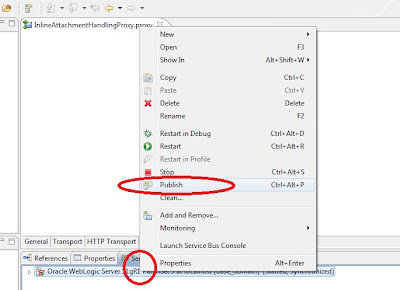 i will execute the soa service by browsing that attachment from soapUI then that should pass the attachment pdf to osb proxy attachment variable ($attachments). Like yours, I also wear the hat of many roles, like son, uncle, brother,friend,lover,employee, technologist,guide, instrumentalist and so one. But I don't know who I am I.